Another month has flown right by and it is time for February’s dessert challenge hosted by The Lady Behind The Curtain. 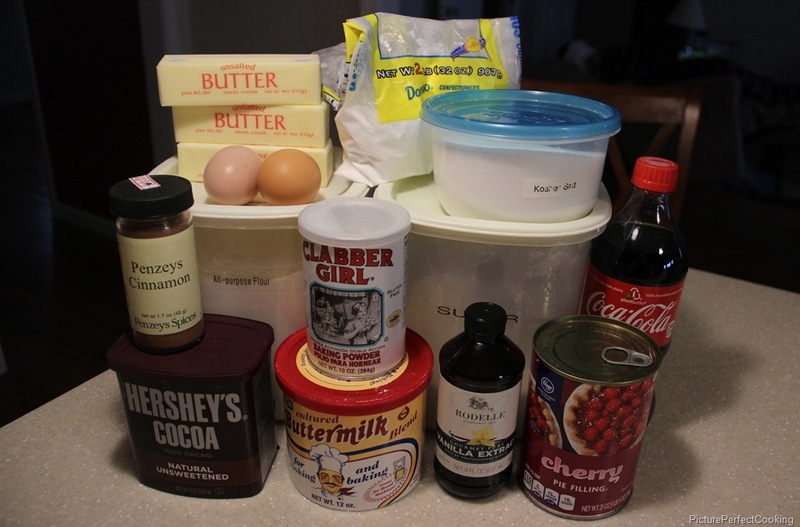 This month’s ingredients are Coca Cola and cherries. Hmmm..I had a little difficulty coming up with an idea, but this recipe hits the mark. 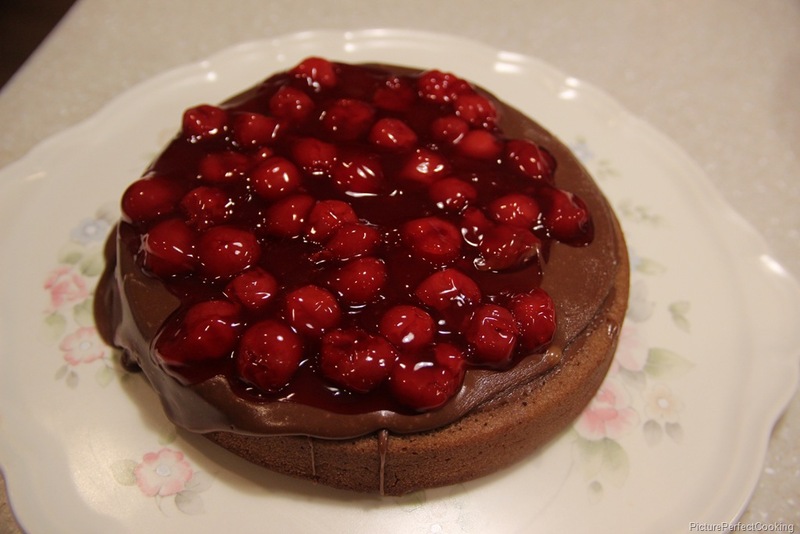 I used one of my all-time favorite cake recipes and altered it to fit my needs. 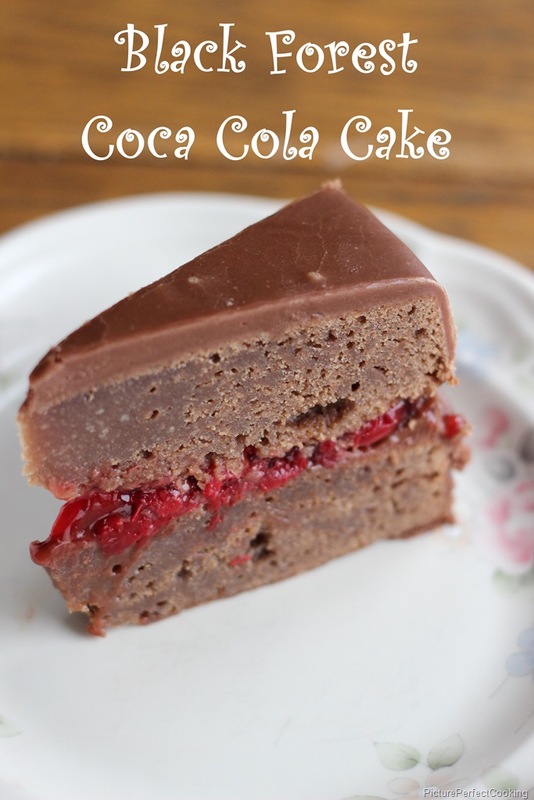 The base of this recipe is the Coca Cola Fudge Cake that I wrote about back in 2011. I left out the pecans and baked the cake in two 8 inch pans instead of a 9×13 inch dish. 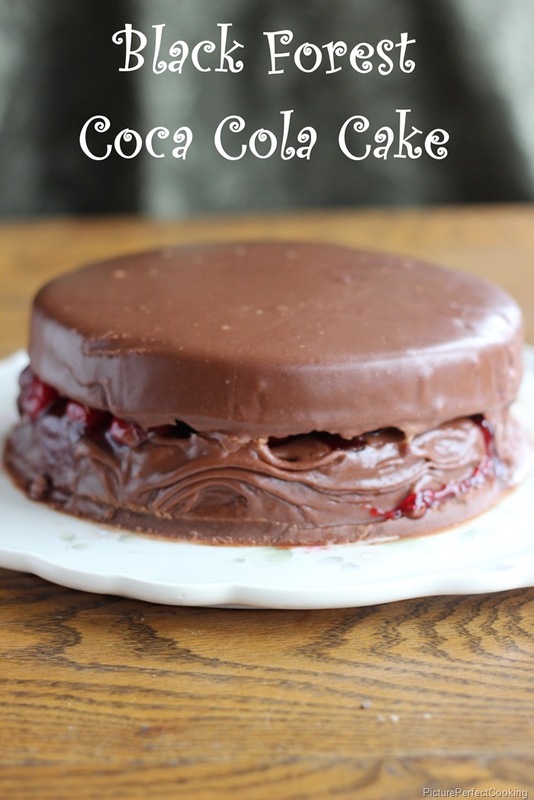 This is a very dense fudgy cake and the glaze hardens just perfectly over the layers. One little word of warning regarding the glaze: Let it cool for 5 to 10 minutes before pouring it over the cake or you will have a chocolate sauce river like I did. I just kept spooning it over the cake until it started to set up, but some of the glaze was still lost off the cake plate. It was just a little bit sad. 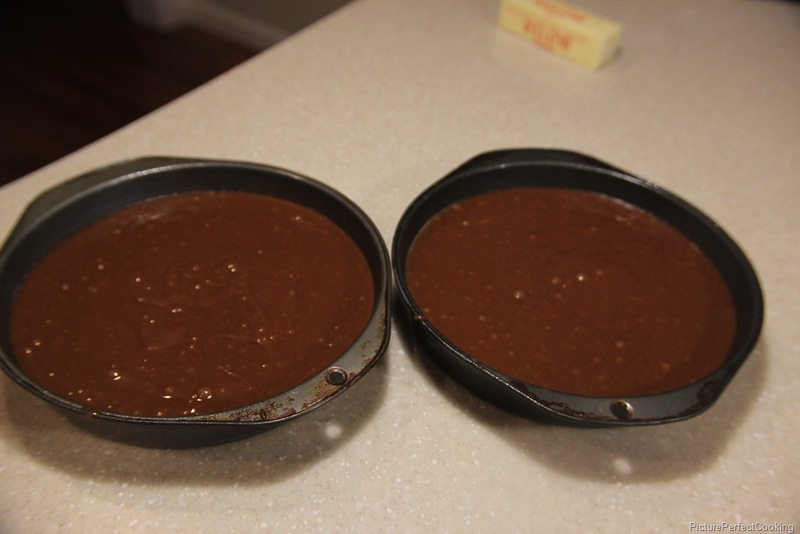 Preheat oven to 350 degrees and prepare two 8” baking pans. Sift together the flour, sugar, salt, baking powder and cinnamon. Set aside. 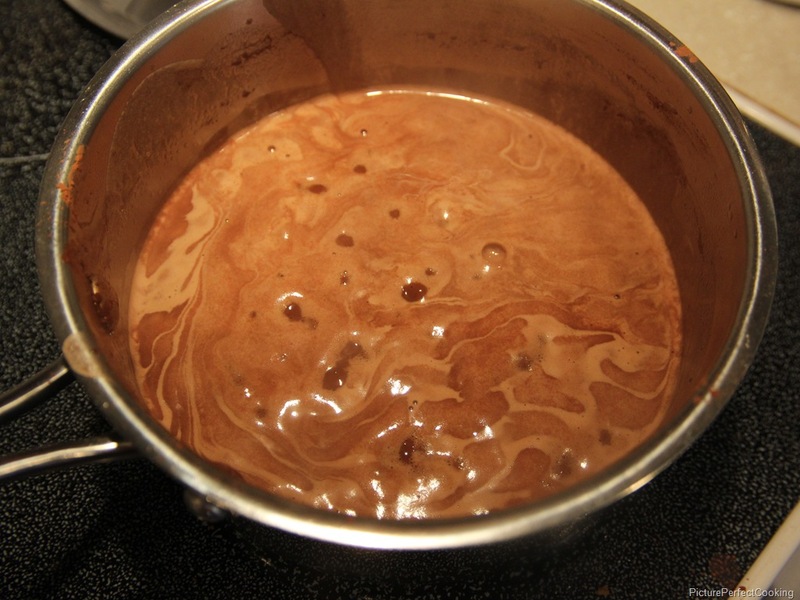 In a saucepan over medium heat, melt 2 sticks of butter with 1/4 cup cocoa powder, 1 cup Coca-cola and 1/2 cup buttermilk. Cook until it boils. 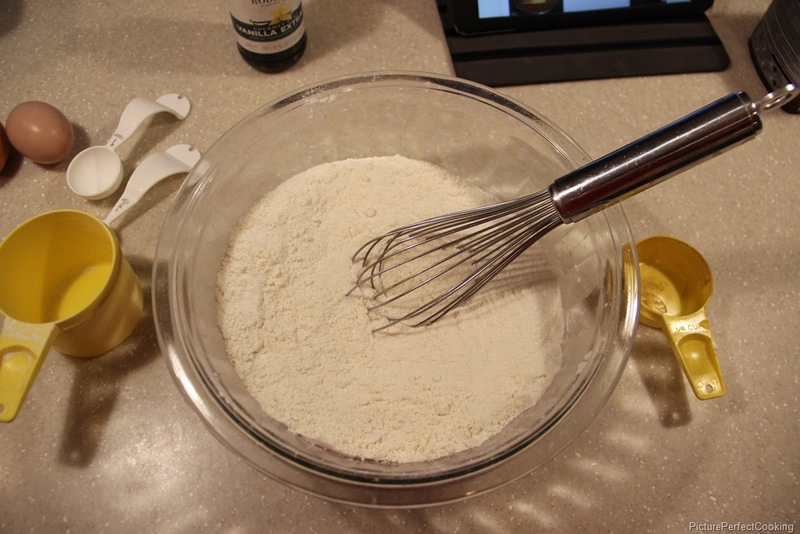 Add the boiled mixture to the flour mixture and combine. 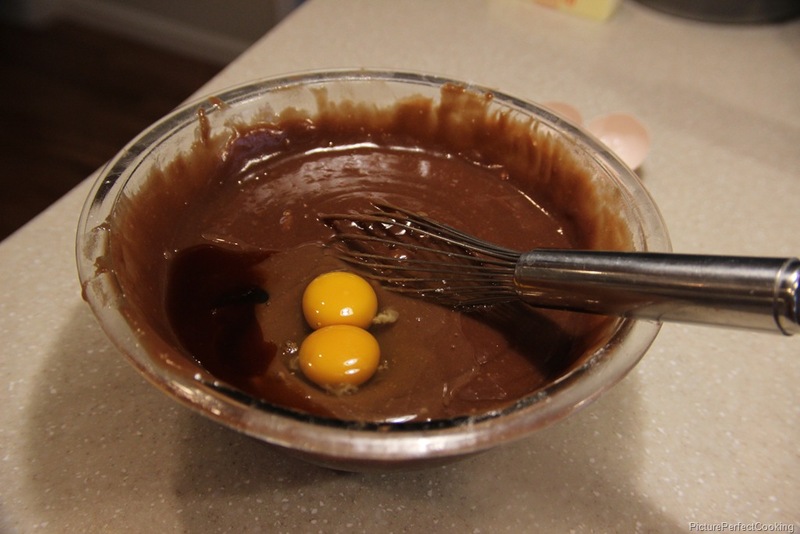 Then add eggs and vanilla extract. Pour the batter into the baking pans and cook for 25-30 minutes or until a toothpick inserted in the center of cake comes out clean. Let cool in the pans for 10 minutes then remove and cool completely. 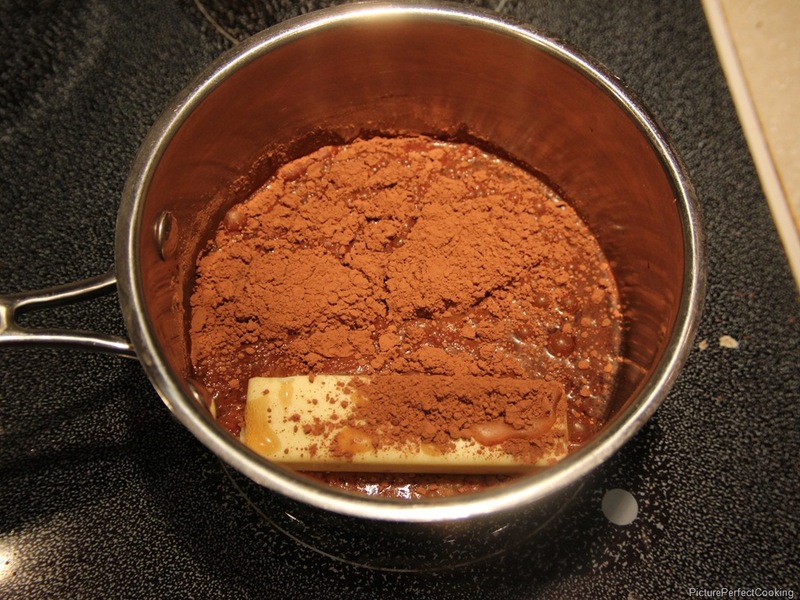 In a saucepan over medium heat, melt the remaining 1 stick of butter with 1/4 cup cocoa powder and 1/2 cup Coca-cola. Let this come to a boil and then remove from heat. Beat in the 4 cups of powdered sugar. Let the glaze cool for about 10 minutes or until thickened but still pourable. Place the first layer on a cake plate, pour about 1/3 of the glaze onto the layer and then pour half of a can of cherry pie filling. Try to keep the cherry filling from running over the edge of the layer. 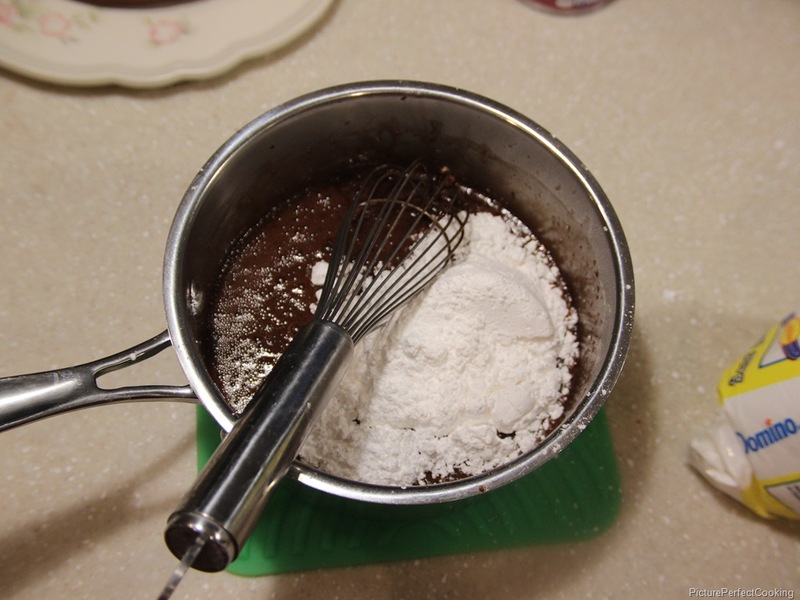 Place the second layer on top and pour the remaining glaze over the cake. 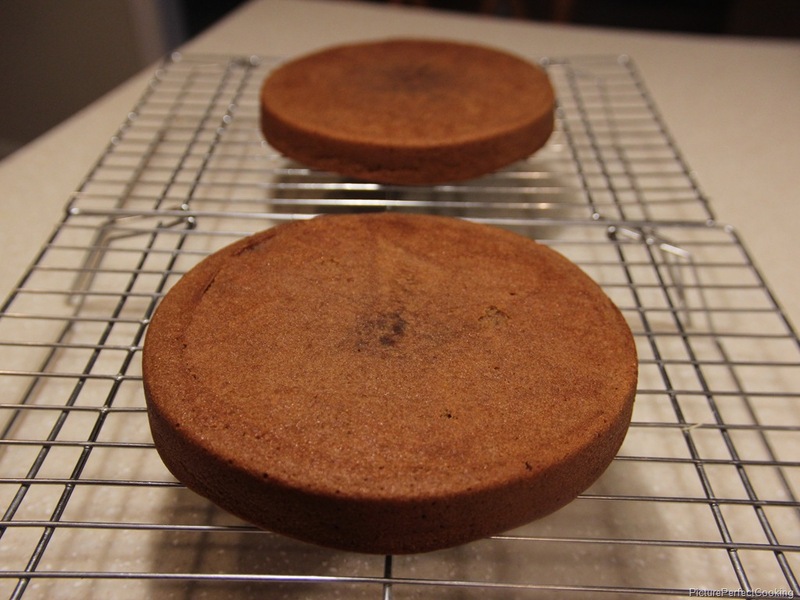 You may need to spoon the glaze from the cake plate back on to the cake if it is still too warm and liquid-y. Let the glaze set until firm and enjoy!